IRISH athletes will have to work harder than ever before to maintain their individual grants under the Sports Council's revamped elite 'carding scheme' this season. New quarterly performance reviews have been introduced in which athletes will have to meet pre-ordained targets. If they're not achieving them -- with the exception of illness or injury --the Council will be looking for explanations and, if not satisfied, will cut their funding. 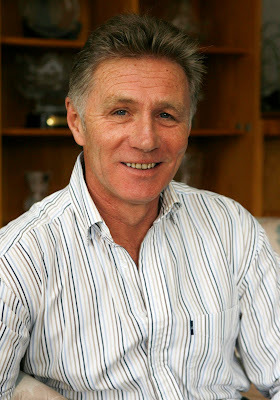 Athletes were individually subjected to annual reviews before, but a new High Performance Committee from within the Sports Council, chaired by former world champion Eamonn Coghlan, is upping the demands on them to avoid athletes coasting along on the security of State funding. "My fear is that athletes put the cart before the horse, that their objective is just to achieve the (grant) qualifying criteria to get five or 12 grand," Coghlan said of the past system. "Now their form will be monitored on a quarterly basis and if they're not achieving their targets, that's not good enough any more," he added. Despite a 4pc overall cut in its government funding this year, the Sports Council announced an investment of €8.35m in elite Irish sport yesterday. Sixteen sports received €5.7m for their 'high-performance plans' -- it was €5.12m last year -- and, individually, 273 athletes and four teams received €2.65m under the scheme. Another significant change that Coghlan's sub-committee have made is how developmental and junior athletes are funded. They have sought more detailed plans than previously in this area in a bid to improve the country's talent identification processes. Coghlan said that only Irish boxing and swimming had already got proper talent identification processes and both sports benefitted, like Irish cycling, with increased funding yesterday. Another significant development was Minister for Sport Martin Cullen's declaration that he remains committed to the completion of the National Sports Campus Ireland at Abbotstown, whose building project has been suspended due to the recession. Cullen said: "I personally see Abbotstown as absolutely crucial to the future of sport in this country." One notable absentee from yesterday's high-performance plans and allocations was Basketball Ireland, whose current financial problems are so bad that they recently took the step of cancelling their senior men's and women's programmes for the next European Championships (2012). That means Ireland will have no senior basketball teams for the next two years.